You have made the decision to have a professional design and install your new waterscape and landscape. But now the decision about timing. Do you do it before the snow flies or after? Many people think doing a spring installation is the thing to do. However, as a professional may I dispel this common thought? There are several reasons to install in the fall rather than the spring. 1. This allows the landscaping and water feature to "nest" into the yard over the winter and early spring. It essentially gives you months of extra growth time for the following outdoor season. 2. You aren't going to be fighting frost restrictions on the roads in the fall. The springtime road restrictions are unpredictable and sometimes hold projects up for weeks. During the fall we can easily transport large trees and boulders. This keeps costs predictable. 3. Spring is already very booked with maintenance for many companies you might want to work with. During the fall we often have a bit of a more open schedule which allows you to get your project done on time and within your social schedule. 4. It won't interfere with your summer guests. The fall often brings with it fewer guests and yard parties. Which takes the pressure off to be ready for a special event. 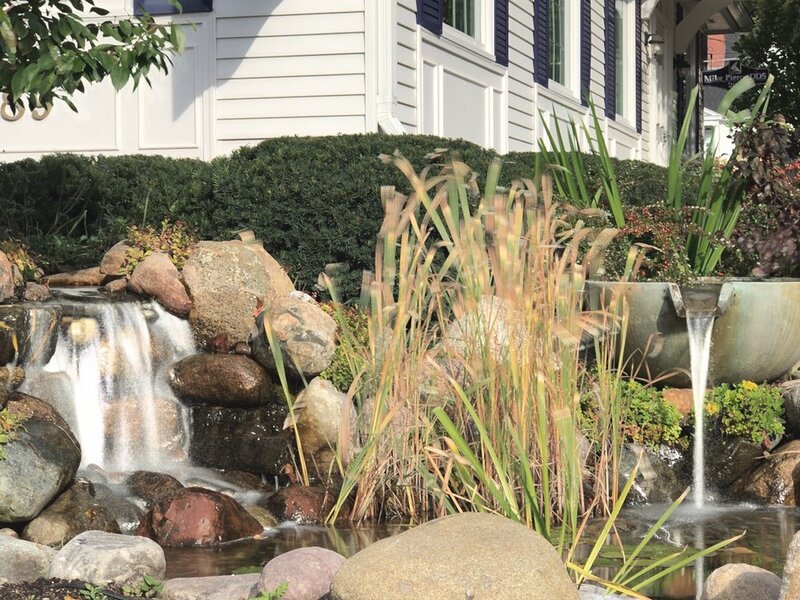 When you are ready for your landscaping and waterscaping consider a fall installation. ponds are beautiful in any season. this harbor springs michigan pond, next door to the lyric theater is sporting its fall colors well!